A child's first visit to the dentist should occur between the age of two or three or even earlier if something appears abnormal to the parent. For the young child, the first dental visit should be a pleasant, exciting, rewarding experience. We want to make it this way for your child and it doesn't just "happen". We take special care in how we introduce a youngster to our office and we make the following suggestions to parents to assist us in making this important first experience a pleasant one. Very young children are upset by the vague fears of the unknown. Too much preparation will magnify these fears, so don't overdo. It is usually best to tell your child about his first visit the night before, treating it as a normal experience to look forward to. Be natural and easy-going. If your child asks for more information, explain that the Dentist will be looking at their teeth to see that they are clean, straight and pretty and to see what a nice job your child does in brushing. Anything else, the Dentist will explain when he sees you. Such procedures as cleaning, X-rays, and fluoride application, when properly presented by myself and my staff, usually prove to be part of any exciting, interesting and happy occasion. Do not give your child instructions on how to behave (such as telling your child not to cry, or that they must sit still in the chair, or must be good, etc.) Do not promise bribes. Do not promise rewards. The younger the child, the more important to schedule the visit early in the day. Make appointment days easy. See that your child is well rested. Don't make other appointments (such as pediatrician or barber) before your dental visit. If you do anything "special," dress up for the visit. Nothing will increase the expectation of a pleasant experience as much as "getting ready" in good clothes. In short, treat the first dental visit as a normal part of being a child. This approach will enable your child to view this visit as an opportunity to meet some nice people who are interested in their smile, comfort and well-being. We always welcome parents to into the treatment area. This allows you to see where your child will be treated. Sometimes, depending upon the age of your child, you may want your children to come back alone. The majority of children come back alone after the first two or three appointments. On subsequent appointments, parents are encouraged to remain in the reception area. Of course, there are always exceptions depending on your level of comfort. Dr. McAninch has found, and studies substantiate this, that children tend to do better in the dental situations when separated from their caregiver. Please let us know how you would like your child treated and we will do our best to accommodate your wishes. 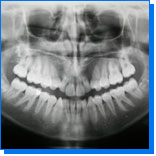 Radiographs (X-rays) are necessary in order to ensure that nothing is missed during your child's exam. They detect more than just cavities; they can allow our dentist to diagnose and treat conditions that will not be detected during a regular dental examination. This will help us discover potential problems at the earliest possible stage and prevent them from turning into big problems later. Using digital X-rays significantly limits your child's exposure to radiation in order to keep them safe. The American Academy of Pediatric Dentistry recommends that your child gets X-rays, cleanings and an exam every six months to a year.